Physicians play an important, multi-faceted role in the overall healthcare chain. Their primary role involves examining the patient’s history and physical to determine the right diagnosis for a given disease or condition. Once the diagnosis is established, the physician develops appropriate management and treatment plan. Besides treatment, physicians also provide continuous care to patients in ambulatory settings, advocates on behalf of patients and educate them, their families and support groups. The two main types of doctors are primary care physicians and specialists, who are trained to offer specialized services when called upon because of their training and knowledge. The emergence of Medicaid and Medicare has brought with it the universal right to access health care. Medicare and Medicaid are two essential government programs that have been formulated and implemented with the sole purpose of helping the United States citizens to access medical services at a lower cost. These programs have for a longer period been used as the source of both primary and secondary care for most of the individuals living in the United States. However, recent studies show that even people who have migrated to the country are using these programs to access medical services in the country. This is not a bad thing, but tight rules and regulations need to be formulated to help people, and more so the United States citizens. Despite the programs proving to have a significant number of benefits, it is common knowledge that few physicians accept Medicaid as a form of payment. They specialize in private medical services, which has led to a situation where a large number of people find it hard to access medical services. This has prompted the Federal Government to come up with various strategies and rectify the existing problems, but nothing seems to work. It is common knowledge that finding facilities that often accept Medicare has become a disaster. The Federal Government has been engaged in an unending campaign that mostly focuses on pushing private facilities to accept individuals who have been enrolled in these programs without getting a positive response. The enrollment period for Medicare lapsed without many private facilities being added into this program, which has resulted in huge problems. This explains why a large number of patients find it hard to get a facility that accepts Medicaid. Here are some of the strategies that you can use to a hospital or a doctor who accepts Medicare. This strategy will not only help you to find facilities that often accept Medicare, but they will also help you to get quality medical services. If you are highly interested in getting a physician that accepts Medicaid, you have no option but to visit Medicaid and Medicare service centers. Here, you will get a list of all doctors and facilities that often accept Medicare in the United States. This platform is considered the primary source of information concerning all Medicare and Medicaid services, which is a clear illustration of how it should be important to you. The best thing about the service center is that you can easily access it through its online platforms, which means that you don’t have to visit the physical premises for you to get the services that you need. The information listed on the website will help you to get the profile of the physicians available in your area and their contact details. Importantly, there is a Google map available on the website which is specifically used to show directions and how you can reach certified physicians who have been authorized to provide medical services to the United States citizens. It is on this website that you will get details about the enrollment period for Medicare. Your local authorities such as county supervisor, the local sheriff, and various government bodies can quickly direct you to the nearest facility that accepts Medicaid and Medicare plans. These individuals are not only involved in communicating the enrollment period for Medicare, but they play an essential role in directing individuals to the facilities where one will access the services paid by the government and the employer. Most of the local authorities have devised a plan that involves understanding people’s queries and directing them to the Medicaid care center for assistance. It is obvious that medical facilities are likely to know all the clinics and health facilities that accept Medicaid and Medicare payment options in a particular region. If you are struggling to find a facility that will accept your payment option, you need to visit a medical facility that is near you and ask them whether they accept Medicaid and Medicare services. If they do not provide the services, they will easily direct you to a local facility that provides the services and programs discussed. You can also get quick assistance from medical professionals in your region as they are already aware of all the medical facilities in your neighborhood. Despite the argument that a huge number of people in the United States access their medical supplies through over the counter methods, studies have shown that a huge number of middle and low-income individuals prefer to get medical attention from the facilities that accept Medicaid and Medicare programs. This is because they will access both primary and secondary care services, most of which has been paid by the government and the employer. Therefore, it is clear that your family members, your friends, and your colleagues at work are informed about the medical facilities and the doctors who use Medicare and Medicaid as the payment options for you and your family members. Your close relatives can refer to you to the nearest medical facility where you will not only use these programs, but you will get quality medical services. 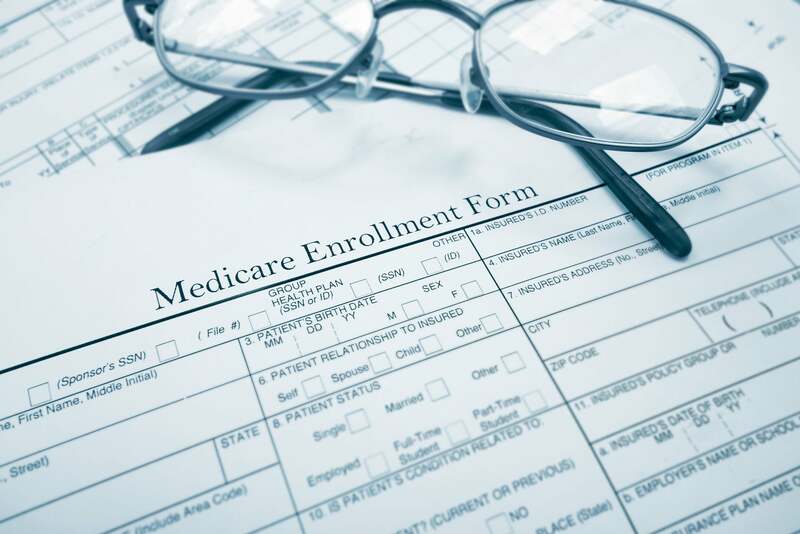 A guidebook published by the American Medical Association (AMA) called Medicare Participation Kit is designed to help physicians make informed decisions about their role in the Medicare program. According to AAFP.org, physicians have 3 contractual options for joining Medicare. The first option is signing a participating agreement or PAR and accepting prevailing Medicare payments. Secondly, they can choose to become non-PAR physicians. In this case, physicians decide how to bill patients beyond the limits set by Medicare patients based on a case by case analysis. The charges may include documented unassigned claims. Lastly, physicians may opt to become becoming private contractors. Under this arrangement, the physicians must agree to bill patients directly without accessing any Medicare payments. Physicians are allowed to change their contractual status from Non-PAR to PAR and the other way round only once a year, during the appointed time. However, certain exceptions do apply; for example, when a physician changes his or her group practice or geographical place of practice. Physicians who want to change their status can do so at their own volition if they are not bound by any contractual agreement with the hospital, they serve health plan or any such entities tying them to PAR status. PAR physicians must accept Medicare-approved amounts, which stands at 20% patient co-pay and 80% Medicare payments to cover full or partial services over the stipulated time frame. Physicians who want to enroll as private contractors must offer a 30 day’s notice before the first day of the quarter effected on the contract. The names of doctors who accept Medicare payments are easily accessible at Medicare and Medicaid service centers. According to HHS.org, patients can visit Medicare.gov website and check under the Physician Compare tab, then type the location of the physician and search by name, group practice, condition, specialty, and other related parameters. The website also offers such details as interactive details such as physician’s profiles, maps, and driving directions. The number to call in case you have a problem accessing the website is 1-800-MEDICARE. When you all the official Medicare helpline a representative will guide you through the search process and answer all your queries. You can also use this opportunity to request a print out copy of the search results. The other sources of information regarding physicians who participate in the Medicare program include the highly resourceful Medline Plus directories and via referrals from friends and relatives. Once you received a shortlist of Medicare doctors in your private health plan network (PFFS, HMO, and PPO), it is important to pick one practitioner you are comfortable working with. According to Consumerreports.org, your search considerations should revolve around the physician’s hospital affiliation, underlying red flags, compatibility, board certification, and gender and age if that is important to you. You may go further to find out if the doctor makes house calls; can be reached easily through an appointment and also seek information about the working hours and locations. Finally, you should not only be concerned about medical facilities and doctors who offer medical services through Medicare and Medicaid. You should mostly be worried about the quality of the medical services that you will be getting. Therefore, you need to ask for the necessary certification from medical facilities and the doctors who will be treating you. It is important to record that a huge number of medical facilities, besides accepting Medicaid and Medicare services provide low-quality services. 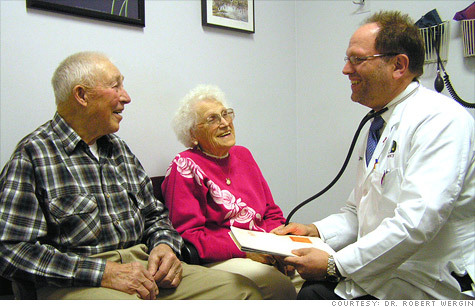 The Do’s And Don’ts Of The Medicare Enrollment Process- Help to Get You Approved! We know and understand how complicated these public programs can be for US citizens and our goal is to help you easily gain an understanding of each aspect, so you or your loved ones know what to do. Our professional content team is highly experienced in each division of senior care so you can trust the information given to you. Have a Higher Income than Medicaid Limits? You Have More Options than You Think! Senior Resource Hub Copyright © 2019.